Santasia in LA is a staple show that should not be missed. Brothers Shaun and Brandon Loeser created it and it's about to open on December 7 at the Whitefire Theatre. Shaun took time out of a super busy schedule to tell us about this year's show. How many years have you guys been selling out this show? I remember it played the Secret Rose, and the Whitmore Lindley before moving to the Whitefire. Yes, we started at Secret Rose in 2000 and we started selling out the last weekend of that early run. And we kept selling out so we had to find bigger venues…We moved all the way to New York too…We ran at St. Luke’s Theatre Off-Broadway and we sold out there too!!! 188 seats! We did a Bi-coastal run in LA and NYC for the past 2 years…but this year we decided to slow down and just play Los Angeles. Without giving away too much, tell our readers a couple of the new sketches. We have a lot of fun new stuff this year! We have an “Office Party Drinking Sing Along” …an homage to Christopher Walken entitled “Walken in a Winter Wonderland” and our parody vignette of “Creed”. What favorites for you remain audience favorites year after year? Sledding and Snowballs from Hell….those scenes are still so much fun to do. And of course the Musical Numbers…the “Hamilton” spoof is not only funny but it’s really fun to perform and it’s super hip! And of course,7 out of shape middle aged men Dancing the “Full Monty” in Christmas Boxers is both alarming and hilarious. These all remain audience favorites. What else have you been involved with in the theatre? I noticed Brandon received a BWW nomination this year for a play at the Whitefire. Congrats! He did?! Wow congrats bro! Brandon is a part of the Whitefire theatre group..And they put up their comedy shorts show twice a year. What about TV and film? Anything on the horizon? 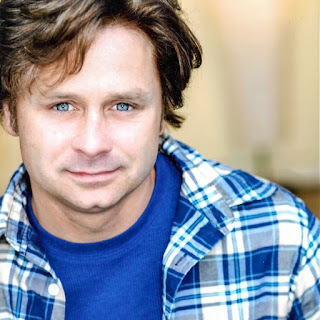 Yes we got some stuff coming up…I’m in a new Netfix show called “Malibu Rescue”..I play the character “Clive” he’s the comic sidekick to the evil Lifeguard Commander.It’s a teen sitcom it’s really a fun show. I think it starts in February. And you can see Brandon almost every week on "Conan". Back to the show... Where do the ideas for most of the sketches come from? Are you TV and film addicts? Was Christmas the most important holiday in your family growing up? Explain in some detail here. Yeah Christmas was always important…our parents made Christmas the most special time of year for us. Our Dad used to decorate the house like “Clark Griswald” and our mom decorated the inside of the house with her massive Christmas music box collection. And she usef to bake soo many cookies! Mention anything you wish that I have not included like your cast and what enjoyment the audience will take away with them. I’m excited to say we have an awesome and talented cast! We have 3 new guys joing the crew! …this is a very special “Santasia” show…It’s dedicated to our Mom and Dad this year and was totally built out of love and heart. The audience will take away that fuzzy Christmas feeling and we gurantee they will be laughing all the way to grandma’s house. 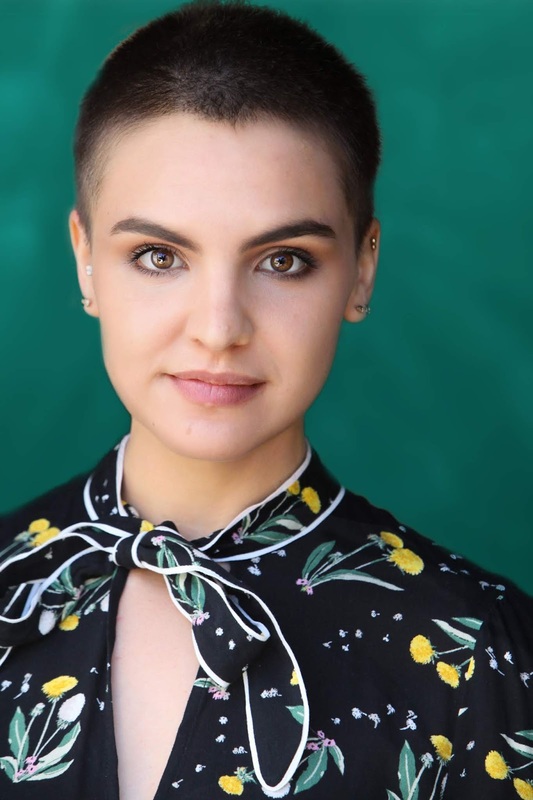 The Irreverent Shakespeare Project presents an all-female version of Julius Caesar, directed by Heather Ann Gottlieb, produced by Steven Brandon, Mark Laird, Bradley Gosnell, Rachel Rios and Ari Stidham. Director Gottlieb and producer Stidham took time out of their busy schedules and talked with us about the company and this production of Julius Caesar. 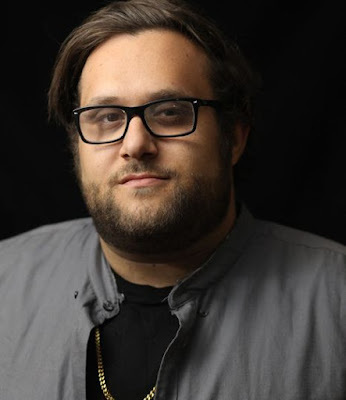 Ari Stidham has been writing and performing music and comedy onstage as well as acting on television for all his adult life. You may know him best as genius Sylvester Dodd on CBS’s “Scorpion” or you may also know his music which he releases as Dr. Television. Tell our readers about the Irreverent Shakespeare Co. I started the Irreverent Shakespeare Project with a free invite only event that lasted a few weekends at a house in Tarzana, mainly with friends and collaborators I’d worked with previously. Ashley Tavares, Bradley Gosnell, Rachel Rios, Jordan Stidham and Jake Shillan to be accurate. We put on Midsummer Night’s Dream, twice, and Mark Laird helped us produce it that second time. Our goal was to produce a take on the Bard’s work that connected with modern audiences. After our first run it was clear we had something to nurture in ISP and the idea to do Caesar came about because of the strong female actors we worked with on Midsummer. Talk more specifically about Julius Caesar and give us a sneak peek at some of the crazy things you are doing with it. Specifically bo-staff warfare. I repeat: bo staff fighting and warfare. Something also fun and of note that you can expect is a shorter, more intimate take on Caesar than you may be used to. Our abridged cut moves at a decent clip, as do most ISP shows. Talk about your music and TV gigs. Dr. Television is Ari Stidham and vice versa, I released an album called “Jacuzzi Louie” independently and have been playing around LA a bit with my talented band, lead by Hughie Stone Fish (Solo Must Die) - currently I’m composing music to Shakespeare’s lyrics for a production of “Twelfth Night” coming soon from ISP. Back to the play, if I missed anything, add what you wish. Bradley Gosnell, our producer/fight choreographer, co-set designed this production with me, and we tailored to the work to his choreography, he’s really done some great work with the staging of the battle at Phillipi. Heather (Ann Gottlieb) has done a great job of humanizing the story of these conspirators and finding common ground with modern audiences by casting unique performers and directing clear and different performances, defining our conspirators in a way I’ve never seen before. Rachel Rios’ costume design is rich and imaginative, which frames our show in a familiar yet dissonant version of golden Rome. Tell us about your cast. Nefe Iredia is portraying Caesar in this production and she plays him so clearly with such ease, it’s a snapshot of the tyrant I am eager to share with the world. Delaney Milbourn, our Brutus, has a wonderful command of the text and stands out in every show I’ve ever seen her in. Same with Michelle Wicklas, our Antony, who performs regularly at Will Geer’s Botanicum. Also talented actor and performer in her own right, Beverlee Jean, our Octavius, can also be heard hosting Shakey Understanding, her podcast. It explores Shakespeare’s plays with actors portraying his own characters live and in studio. Do you wish to add anything? A song can change and be performed a million ways, but the story stays the same. So too, with Caesar. Heather Ann Gottlieb is an award winning playwright and poet. Born and raised in Phoenix, Arizona, at age 10 she began performing in community theatre across the valley, including Phoenix Theatre, Greasepaint, Metro ,and TheaterWorks. At age 15, she won the AriZoni Award for Best Actress in a Lead Role (Children's Theater). Her short play The 3 Little Pigs Meet a Chronically Homeless Man was featured at the Artists Speak ceremony in November 2014. In 2015, she received her BA in Theatre Arts from Loyola Marymount University. Beth Henley awarded her the department's "Outstanding Achievement in Playwriting" award. She also regularly competes at Bootleg Theater's Write Club event, raising money for charity through literary bloodsport. Tell our readers how you became involved with the Irreverent Shakespeare Co and Julius Caesar. I was approached by my friend Rachel Rios, ISP’s Costume Designer, about directing Caesar. We were classmates at Loyola Marymount University, and she’s familiar with both my writing/directing styles and feminist agenda. She threw my name into the mix of potential directors, and I’m happy to say it was a fit! I’ve only directed short-form modern pieces, so it was an interesting challenge for my first full-length production to be in verse. I am extremely lucky to have been supported by such a professional, dedicated team. When discussing casting, Ari and I went back and forth many times before deciding on an all-female cast. In the end, it was the most powerful choice that simultaneously stripped the script of traditional gender-roles and brought clarity to the true driving force of the story: power, the desire and chase for it, and how it changes once you actually get it. What has been your greatest challenge as director? Each cast member had a different level of experience with Shakespeare, so we spent a large portion of the rehearsal process doing table-work. For me, it was important to get everyone on the same page about text and dissect themes together. It was also helpful to have Ari and Bradley, who cut the script together, answer questions that arose throughout our bookwork. What would you like audiences to take away? Honestly, I’d love if the audience left thinking “Wow, women are f*cking powerful." This process has been extremely collaborative. 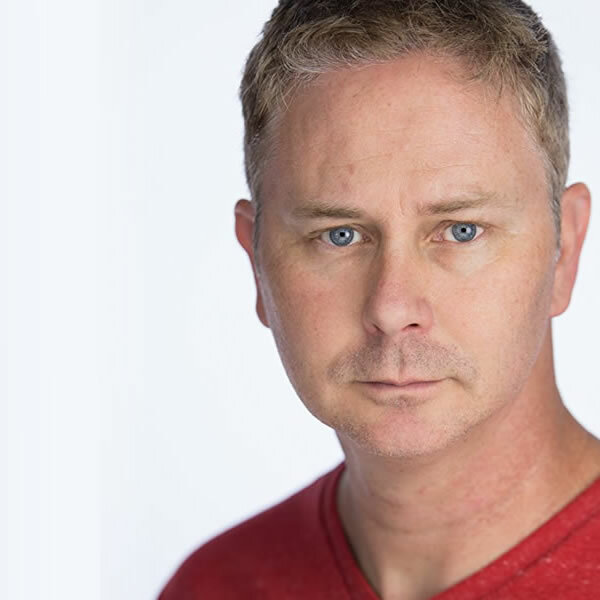 Producer Bradley Gosnell took the reigns for Act V and crafted great combat moments. Ari, our executive producer and ISP’s Creative Director, helped tremendously with dramaturgy and handled production needs. Producer Mark Laird made himself available for costume and prop needs, and costume designer Rachel Rios worked tirelessly from across the country. Jimmy McCammon, our Tech Director, was able to design an entire show top-to-bottom after one two-hour coffee meeting! Also, the cast is full of badass and extremely talented artists. This show is a labor of love and I’m thrilled to share it. The Irreverent Shakespeare Project is mounting its third production of 2018 with Julius Caesar. Directed by Heather Ann Gottlieb, with a cast of familiar faces from ISP's Midsummer Night's Dream that fill out the bard's tale of conspiracy and intrigue. 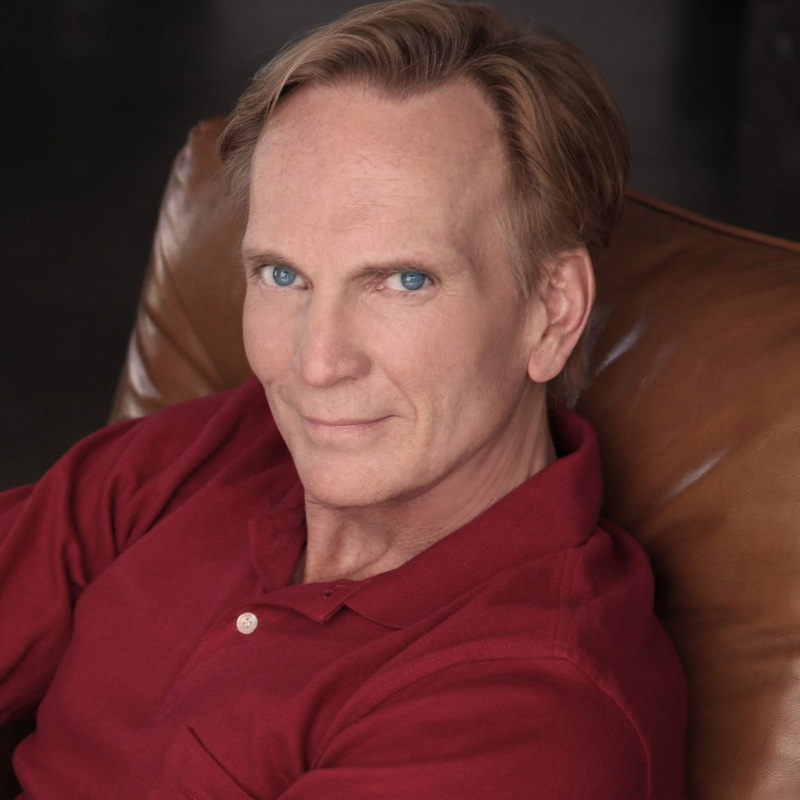 This show is performed outdoors at a private residence in Tarzana on Nov 29, 30, and Dec 1. It's performed outdoors at a private residence in South Pasadena on Dec 7, 8 and 9. The run concludes December 15 at the Hudson Loft, 1200 S. Hope Street, Los Angeles. 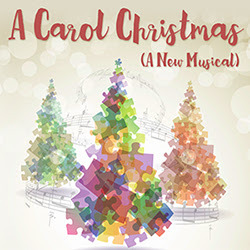 On November 16, a new musical version of A Christmas Carol entitled A Carol Christmas will open at Group Rep in North Hollywood. Doug Haverty wrote the book and Bruce Kimmel, the music and lyrics. Kimmel is also the director. In the conversation that follows both men discuss the new piece. Bruce Kimmel, what are your challenges in directing this piece? BK: As always with a large cast show in 99-seat theater, it's conflicts, endless conflicts. We tried to be clear up front but you just have to know that stuff is going to happen. Early on we cast a swing to cover stuff, so that's been helpful. Otherwise, it's just making sure that everyone is playing the same show, achieving the energy I know the piece needs, and keeping the staging and pace fluid and fast. Did you work in close association with Doug (Haverty) in writing the musical numbers? Was it a true collaboration or did you fill in the music by yourself when the script was handed to you? BK: We had a funny sort of collaboration. He came to me last year with the idea. I normally write by myself, but I thought it would be fun to let someone else do the book and I very much liked the idea of doing a feminized version of A Christmas Carol. He wrote a really long outline, which I read about two lines of and refused to read the rest, as I felt it was too detailed too early and I find, for me at least, that outlines put blinders on people. So, I had an idea for the opening number and asked him to write that sequence first. He presented me with a seventeen page opening scene, I figured out how the song would function within it and we whittled it down to about three pages of actual dialogue that gets done within the song. I love that sort of collaboration. I also knew right away that I wanted to write an anti-I Want song, since it's our female Scrooge. When we got the opening right, then everything was easier and followed pretty quickly. We had lots of food meetings at the Coral Cafe going through the script, cutting, focusing, all the usual stuff. So it was a true collaboration, although there were times I just knew a certain song would be good for a sequence and we'd shape the scene around it when that happened. Once the writing began in earnest, it all went very quickly. Why do you think this Dickens piece is timeless and still so appealing? BK: I think it's timeless and appealing because we've all known people like Scrooge (or in our show, Carol) or we've even been Scrooge-like ourselves. And I think people really respond to the fact that a grouchy old grump can see the error of his/her ways and change for the better and realize that nice is as wonderful a commodity as money. Tell us about your cast..
BK: We were able to put together a wonderful cast using quite a few Group Rep members and going outside for only a few roles. A lot of people who would have normally auditioned for this already had holiday plans, which is why we ultimately had to have a few outside folks. The Group Rep was also gracious enough and trusting enough that they allowed me to bring in my set and costume people from Levi to do this show, which I very much appreciated. And because using a real onstage band wasn't feasible for budget reasons, I hired my long-time musical director, Richard Allen, to not only MD but to create the tracks for the show. They're really great and we have a great sound design team as well to make sure the balance is good, which is always the problem when using tracks. We hope everyone will come out to spend the holidays with us - it's a very upbeat and fun show, perfect for the family. And these days, we'll take all the upbeat we can get. Doug Haverty, tell us about the challenges of turning Scrooge into a woman and setting it today. DH: There have been productions where Scrooge was played by a woman and there have been adaptations where Scrooge was a woman. Setting it in the present actually makes it easier to believe that a woman could be a business owner and have fallen into the trap of getting greedy as they try to run a company. One of my favorite things about the original is the three ghosts as well as the ghost of Marley. Somehow it’s easier to accept ghosts in a story from hundreds of years ago in faraway London. I think we’re more skeptical today. So, I’ve followed the same ghostly structure, but none of them are actual “ghosts.” Jacob Marley (here named Joelle) has recently passed away and as part of her will has set this Christmas Eve adventure into play. We meet her via a pre-recorded DVD. So, in a way this character is reaching out from the grave, but not in a supernatural way. And the three visits she sets up are from people our Scrooge has already met: Ghost of Christmas past is a regressional therapist who hypnotizes our Scrooge/Carol and takes her back in time; our Ghost of Christmas present is an herbalist who dispenses a special, powerful tea that helps people see their lives with crystal clarity; and the Ghost of Christmas future is a Tarot card reader. What successful, modern day mogul does not consult the Tarot? Tell us about your past associations with Dickens at Group Rep.
DH: In 2009, we did a newer musical version at Group Rep (under the direction of then Artistic Director, Ernest Figueroa). It was unusual, poetic with lots of additional Dickensian prose culled from other essays. The ghosts were puppets. I played Bob Cratchit and it was so gratifying to tell this story during the holidays. So, I thought I would try to make a new musical version and make it contemporary. While it’s wonderful escapism to go back to jolly old England and watch Scrooge in despicable action, there’s definitely a separation. We think, “Oh, there’s no one that extreme nowadays.” And that got me thinking. Are there people out there who would never consider themselves a “Scrooge,” and I think that maybe there are. Many of my plays have female protagonists, so I thought it would be fun to explore that. I know there are adaptations where Scrooge has been turned into a woman. But I wanted to go a step further; I’ve taken all the major characters from the short story and made them women. And our Scrooge, Carol, does not see herself as a penny-pincher. She is just a driven, successful female entrepreneur who has been forced to be stingy with her time. And she ultimately learns (by visiting the past, looking deeper into the present and looking ahead) that she can be even more successful if she immerses herself into the lives of the people working for her and to enjoy life and its simple pleasures. Our Carol/Scrooge does not hate Christmas, per se, she doesn’t like the slow down and apathy that accompanies the holidays. People start being less productive because of “the holidays.” In her I Want song, she suggests that Christmas come every four years (like Olympics and elections) so they’d be more special. I’m hoping that people today will actually identify with her. Why does the Dickensian plot grab people year after year? DH: Many people have said that it’s the perfect plot. You have a major character who just wants to be left alone and then has an epiphany and realizes the life he’s missing and that there’s great joy in generosity. We all love a major change in a character and there’s great fun in knowing the story and seeing him gradually learn and change. We’ve tried to follow this plot carefully with (hopefully) just a few new curves to let it have its own flavor. What do you think is the takeaway? DH: This is like watching a story we all know and love and seeing it dressed up in new surroundings. I hope people find it refreshing. There’s so much negativity out in the world, I wanted to offer something affirming, charming, comfortable and moving. I’ve always had a soft spot for Tiny Tim, his bravery and appreciation of the smallest gifts. I love the way Scrooge’s heart melts when he realizes Tim’s plight and the bond that is formed between the two. In our story, Tim is Trina and she is similar in the plight and how she bonds with Carol/Scrooge. Are you happy with Bruce Kimmel's music? 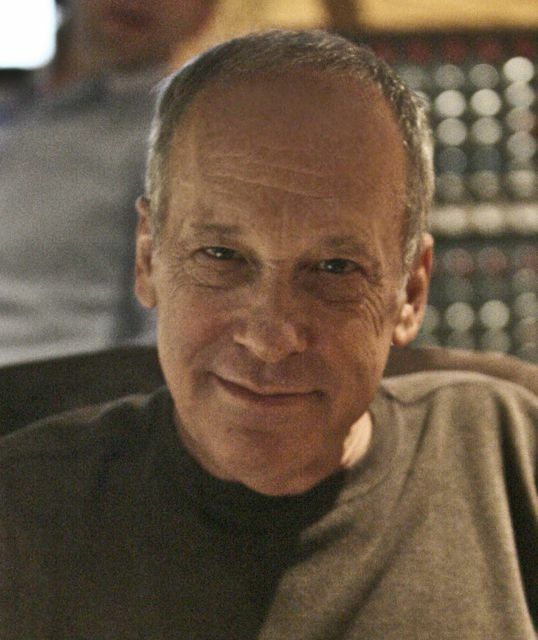 DH: Bruce Kimmel’s songs are pure magic. They’re all beautifully crafted with a wry sense of humor. Sometimes we see new musicals and the songs all sound alike. That is definitely not the case here. Kimmel’s songs are all unique, catchy and winning. I predict that audiences will love this music. DH: I hope that people leave the theater with renewed hope and refreshed and look at their own lives and appreciate what they have and ask themselves if there’s anything they could do to improve the lives of people around them. Change is refreshing and the joy contagious.